For my iPhone I just love Readdle’s App called Spark. On MacOS I am still clinging to Apple Mail. Since all my Mail is stored on my Mac Mini MacOS server, I also work with server based folders. Here I noted a discrepancy between Apple Mail and Spark, because both programs use different presets for saving mail on the server. Fortunately I came across this websavers article, how to get both to work together smoothly. 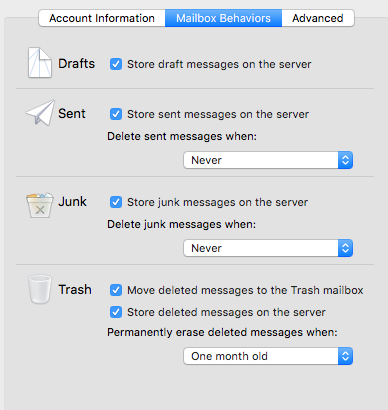 Apple Mail defaults to a sent mailbox/folder named „Sent Messages“. If the option to „Store sent messages on the server“ is active it will create a folder called „Sent Messages“ on the server and use that folder to save copies of sent messages. This conflicts with many other applications with use the folder „Sent“ instead. Select the „Sent“ folder on the server (in the folders pane on the left) by clicking on it once. It should *not* be at the top of the page next to Inbox/Drafts/Junk/etc, nor should it be under „Local Folders“ or „On My Mac“. It will be found under a heading indicating that it’s a server-side folder. For example, my heading says „Websavers“ as it’s my Websavers email account. 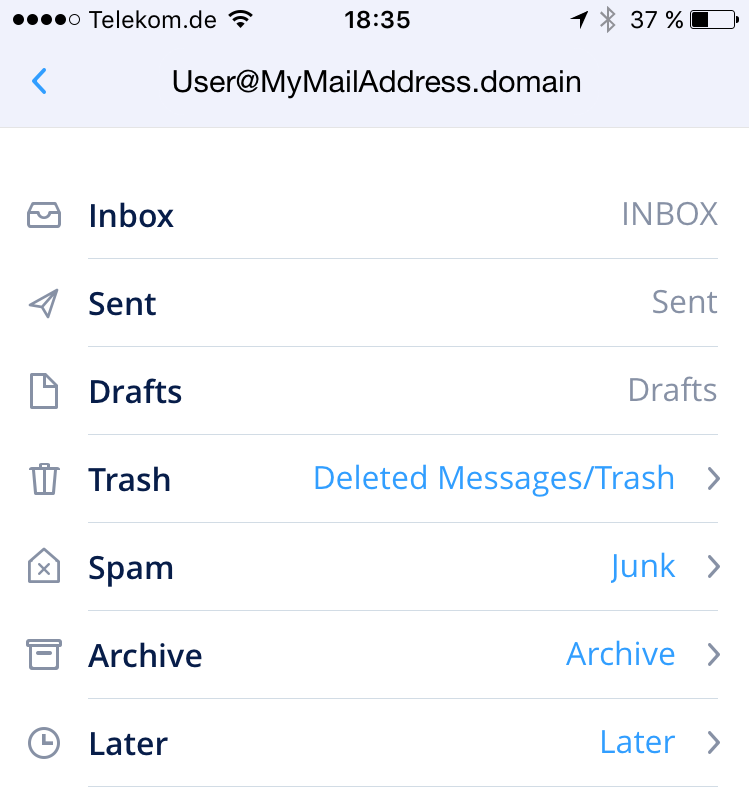 If you do not see a server-side heading in the folder list or if you do and there is no Sent folder there then you must create a new folder by choosing the Mailbox menu, then „New Mailbox“. For the Location field, you must select the correct account to create it under, then set the name to „Sent“. Choose „Use this Mailbox as“ > and then choose „Sent Mailbox“. TextWrangler für Mac OS ist als Freeware downloadbar von www.barebones.com. Dieser Editor sieht sehr mächtig aus, und er erlaubt umfangreiche Einstellungen für die Arbeit mit verschiedenen Dateiformaten, sei es unter Windows oder Linux (bzw. Mac OS), und natürlich auch die Unterstützung für diverse Encoding Optionen. Für Windows scheint sich das Programm SuperEdi anzubieten – jedenfalls ermöglicht es auch den soliden Umgang mit UTF-8. SuperEdi ist eine Freeware die von www.wolosoft.com downloadbar ist.